Disadvantages: Not really a disadvantage but you'll need to cut them out yourself. Recommendation: This will be a simple way to add convincing stowage to your Vietnam War vehicles. 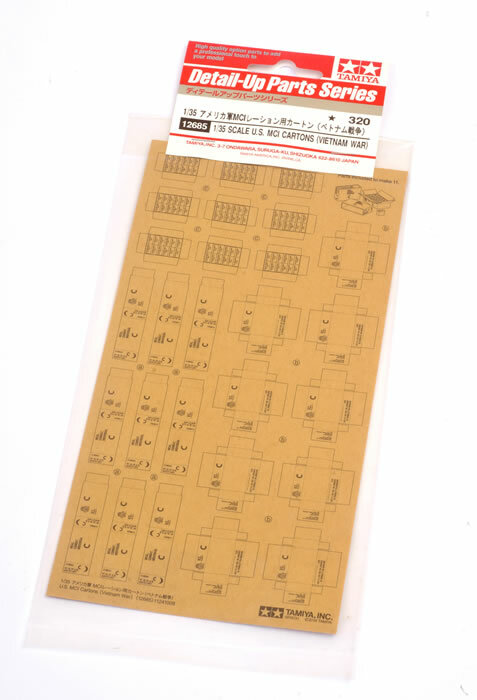 This new accessory has been timed to coincide with the release of Tamiya’s 1:35 scle M551 Sheridan kit, but it will be useful for virtually any Vietnam War era vehicle, vignette or diorama. 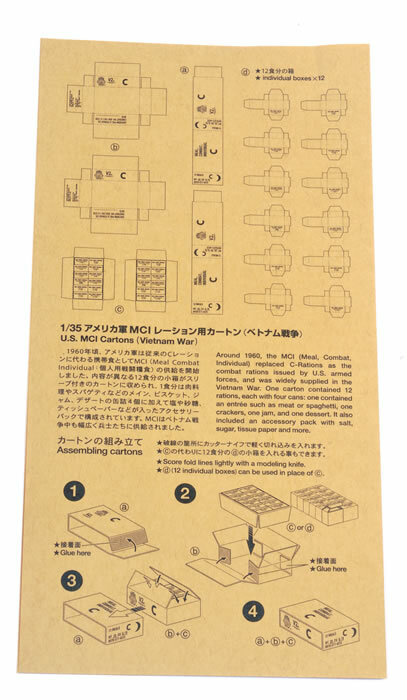 The set contains one sheet of brown paper with printed outlines and details for eleven MCI (Meal, Combat, Individual) cartons. All the printed detail is sharp and readable, albeit you’ll need magnification for the smaller fonts. Each carton is made up from three folded pieces of paper. 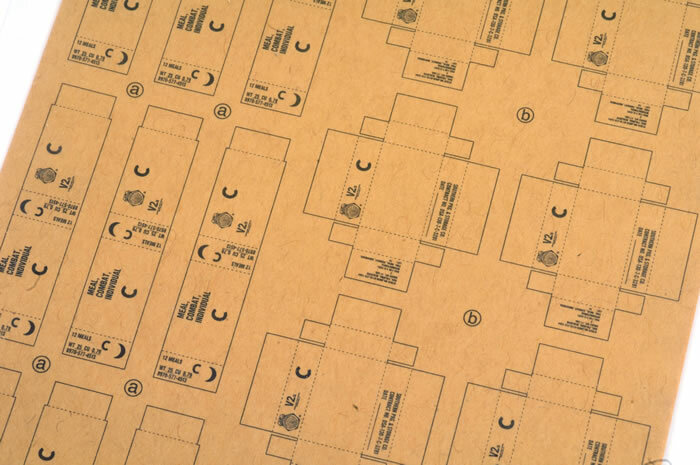 Each must be cut out from the overall sheet and folded along the printed dotted lines. Instructions for the folding and assembly are offered in text and diagrams. These are quite clear and easy to understand. This will be a simple way to add convincing stowage to your Vietnam War vehicles.